Divorce can be a long, drawn-out affair. If it's contested, it can take years. In the meantime, spouses remain legally married, unable to move on with their lives. Bifurcation addresses this problem, but not all states recognize it as a solution. For example, California routinely permits bifurcation, but Texas doesn't allow it and New Jersey does so only under extreme circumstances. When you "bifurcate" something, you divide it into two separate parts. In the context of divorce, bifurcation splits the proceedings into two segments: your marriage is legally ended, usually in the first segment, and issues such as property division and custody are decided in the second segment. If your state recognizes bifurcation, you might consider it for a variety of reasons. Because bifurcation legally terminates your marriage, you don't have to wait to remarry until you or the court has ironed out all the finer details of property, custody or support issues. You can file single tax returns if this is to your advantage. If your spouse doesn't want the divorce and is doing everything possible to delay the proceedings, bifurcation removes this issue from the table. The divorce itself is final, so there's no reason not to proceed with settling issues between you. After your marriage is terminated, you can work toward negotiating a settlement at your own pace without complex issues postponing the time when you can get on with your life as an unmarried individual. 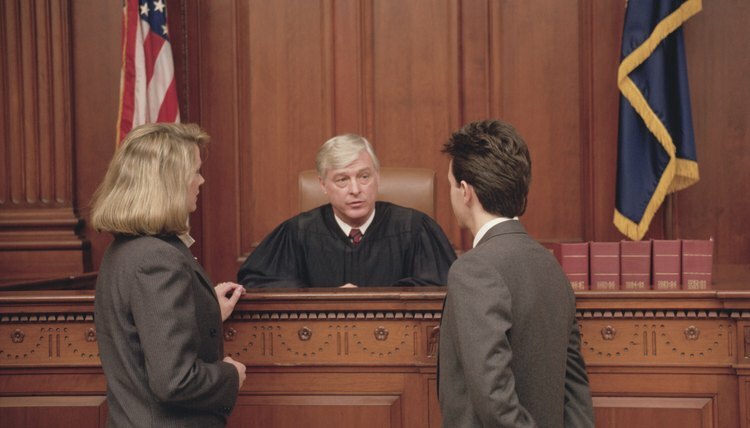 Bifurcation usually results in more attorney's fees and legal costs than a simpler divorce. If you and your spouse use the time after your marriage is terminated to negotiate a settlement, the process might involve only two short court appearances: one to end your marriage and the second to present your agreement to the judge for approval. Otherwise, you'll have the first hearing plus a possibly lengthy trial where the court will make decisions regarding property, support and custody for you. Another disadvantage is that even though your marriage is officially over, the details of how you'll separate your lives aren't resolved until you reach an agreement or go to trial. This can make financial and other kinds of planning difficult. Another key issue involved in bifurcation is that the state court that terminates your marriage retains jurisdiction over the outstanding issues. If California bifurcates your divorce, then you decide to move to New Jersey, you can't finalize the divorce in New Jersey. The unresolved issues must either be determined at trial in California, or you must file your settlement agreement with the court there. If you relocate to an area where the divorce laws are more favorable for you, you can't start over and try the outstanding issues in a friendlier jurisdiction. John K. Grubb & Associates: What is Bifurcation? Not all states recognize bifurcation in divorce, which means that you legally dissolve your marriage, but you postpone resolving issues such as property distribution until a later date. California, Alaska and Kansas permit bifurcation in their legislative codes. Arizona, New York, Texas, Michigan, and Nebraska generally will not approve bifurcation of a divorce. Some states, such as Florida, will grant bifurcated divorces under some circumstances. If you think bifurcation might work for you, consult with an attorney to find out if the law in your state allows it.